Culture and tradition of bamboo-working in Indonesia is getting marginalized as the development of industrial products increased. On it’s own turn, bamboo craftsmen with their skills and craft values slowly lose their place on the developing market. We try to propose a solution to preserve and develop bamboo culture by embedding aspects of contemporary design but still maintaining the special character and the sublime values that exist on traditional bamboo products. Through active collaboration and cooperation, we hope designer and traditional craftsmen can complement each other by the presence of values exchange throug hone and another. Curva focused in the field of homeliving goods made from bamboo with a concern on traditional values side by side with modernity. 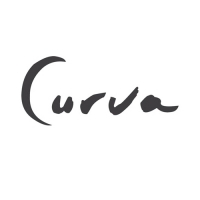 Curva presents fine products with the touch of traditional craftsmen embedded with traditional Indonesian craft values. We strive to create emotional relationship between bamboo products and human as its user. Work brings pleasure. Pleasure gives more energy. For Pleasure is the thing needed to create a piece of work. Since creativity can not stand alone, Team Work are required to find perspective of new ideas. Public understanding of bamboo products still tends to be low. that bamboo products is still inferior to another industrial product, so it needs to be penetrate the middle and upper market to establish a good paradigm for bamboo products. Promotion by participated in various exhibitions of design, and also design market. In addition to the online promotion also done by utilizing a variety of social media and website Exhibition Design Bazaar Online Website Relating Social Media. Sales online and through a variety of existing designs markets in the country, especially the region of Big city: Jakarta, Bandung, Bali. As well as trying to participate in local stores to sell online products. Local Retail Store Design Week Market Online Retail Store Collaboration. We guarantee high quality products with emotionally related to its user. 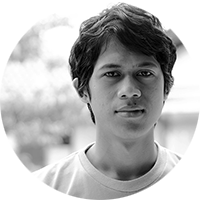 We present sustainable products based on material bamboo and also gives bamboo craftsmen empowerment in Indonesia.